About Lois – Lois Abromitis Mackin, Ph.D.
Lois Abromitis Mackin, PhD, focuses on Midwest, Pennsylvania, and English research, on DNA, and on methodology. Lois earned her Ph.D. in history from Brown University. She has studied with Elizabeth Mills and Tom Jones at Samford University’s Institute of Genealogy and Historical Research. In 2016 and 2017 she completed the Practical Genetic Genealogy and Advanced Genetic Genealogy courses taught by Blaine Bettinger, Debbie Parker Wayne, and CeCe Moore at the Genealogical Research Institute of Pittsburgh. She completed the ProGen Study Group curriculum, finishing with ProGen5 in spring 2011, and served as volunteer coordinator for ProGen27 from 2015 to 2017. In 2016 the Association of Professional Genealogists instituted a requirement for members to complete twelve hours of continuing education in every membership year. To see how Lois is completing the requirement, click here. Lois has been writing, speaking, and researching professionally since 2010. She is a member of the Association of Professional Genealogists and was a founding member of APG’s Northland Chapter, recipient of APG’s Golden Chapter Award in 2016. In December 2016 she concluded her second term as Northland chapter President. As an APG member, Lois subscribes to APG’s code of ethics. 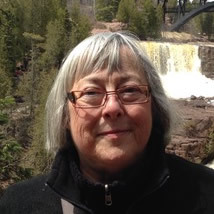 Lois was a director of the Minnesota Genealogical Society from 2010 to 2012, chaired MGS’ Education Committee from 2009 to 2014, and served as 1st Vice President in 2013 and 2014. Lois writes a beginning genealogy column for The Septs. She is the 2011 winner of the MGS North Star Award for research, writing, or education and received MGS’ Founders Award for visionary leadership in 2013. She became a member of the Lake Minnetonka chapter of the Daughters of the American Revolution in 2011, the National Society of the Colonial Dames of America in the State of Minnesota in 2014, and the General Society of Mayflower Descendants in 2015. She served as Registrar of her DAR chapter from 2012 to 2017 and is currently Registrar for the Minnesota Dames. Lois was born in California, the daughter of a naval officer. She grew up mostly on the East Coast, in Maryland, Virginia, Pennsylvania, Massachusetts, and Rhode Island. She graduated from Middletown High School in Middletown, Rhode Island, and attended Brown University, where she earned three degrees in history. After leaving Brown, she lived in Virginia, California, and Rhode Island, working in the defense industry as an analyst, writer, and project manager. Having been introduced to quality management, she segued into organizational performance assessment after moving to Minnesota in the 1990s. She is married and has two grown children. Lois started working on genealogy twice–once after her third grandparent died in 1980, and again at the end of the 1990s. 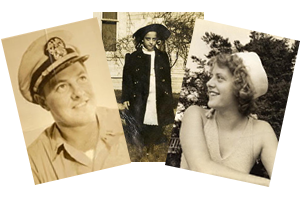 (The second time “took.”) As most genealogists do, Lois started by researching her own family. Her parents came from a small town in northeastern Pennsylvania’s coal country. Her mother’s family were mostly Pennsylvania Germans who came to America in the 1700s. Intermarried with the Pennsylvania Germans were colonial New England ancestors who moved south in the 1750s and Cornish miners who arrived in the mid-1800s. In contrast, Lois’ father’s family were late-nineteenth-century immigrants from Lithuania and Poland. Lois also researches her husband’s family–Irish who came to Iowa via New York and Wisconsin, Scots who came via Pennsylvania, and Germans. All of these arrived in the early-to-mid-1800s, except for that interesting line of British Isles origin that cropped up in Maryland or possibly Delaware before the American Revolution and migrated west through Pennsylvania and Ohio to Iowa.